Silhouette 7.0.11 – More Than Just Roto. Invaluable in post-production, Silhouette continues to bring best-of-class tools to the visual effects industry. Using an entirely stereoscopic workflow, all capabilities of Silhouette, including its award winning rotoscoping, non-destructive paint, keying, matting, warping, morphing, and 2D-3D conversion tools are stereo enabled. 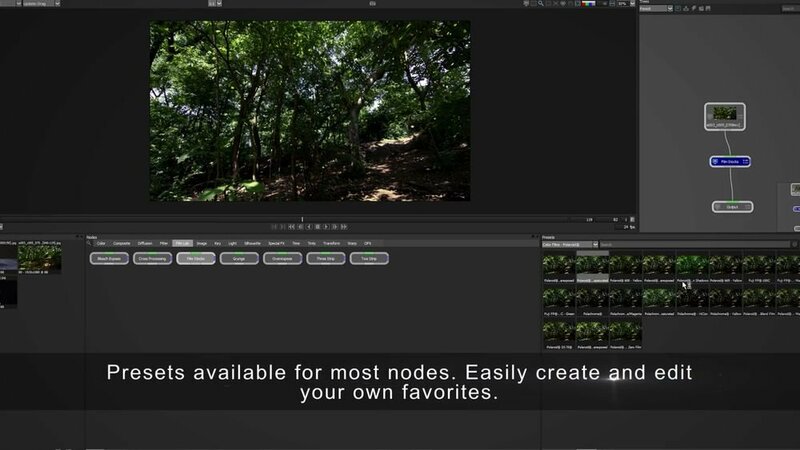 • Crop Node The Crop node crops the image and session to a user defined size. This is especially useful when you only need to work within a smaller region of a larger image as it will use less memory and process faster. • Edit > Duplicate Action Duplicates a selected object at the same level in the Object List as opposed to Copy/Paste which places the pasted object at the top of the Object List. • EXR 2.0 Multi-part Support Silhouette now supports EXR 2.0 Multi-part files. When a multi-part file is loaded, all of the parts are loaded into the Project window. • Input/Output > EXR > Use Data Window as Display Window The Input/Output > EXR > Use Data Window as Display Window preference overrides the default behavior of Silhouette automatically loading an EXR file’s Display Window. Reloading the project or media is required for this preference to be enabled. • Frame Step and Point Trackers The point trackers now obey the Viewer > Frame Step. • Nuke Export – Inner Blur Support Inner Blur is now supported for shapes exported to Nuke. • Paint: Duplicate Strokes From One View To Another Duplicates strokes from one view to another. If a layer with a stereo offset is selected prior to duplicating, the stereo offset is taken into account when duplicating the strokes. • Paint: Playback Selected Events Forward or Backward Playback of paint strokes can now be performed forward or backward depending on whether you select the Play Selected Events Backward or Play Selected Events Forward (arrowhead) icons. • Paint: Rebuild In Paint Stroke Order Rebuild now always rebuilds in paint stroke order, not in time order. • Render > Slap Comp > Invert There is now an option to invert the Slap Comp in the Render Options. • Scripting: Ability to Find a Node’s Source Added node.getInput(index=0) and node.getOutput(index=0) to allow you to track the primary source up the chain from a target node. • Scripting: Extensions Added an “import extensions” to the startup.py script and added a scripts/extensions directory to use for non-action extensions, such as the included rv flipbook extension. • Scripting: getInput() Scripting Helper A number of users have asked for a simple input box so the user can type something in as a parameter to a script. • Scripting: Global Dictionary Added fx.globals as a root-level dictionary to support a global place for scripts and UI elements to access shared values. This was added to facilitate startup scripts setting information that might be used by the UI, such as the name of an integrated flipbook. • Scripting: Hook Improvements Multiple hook functions can be registered and executed per hook. • Scripting: Hooks – New Added the following scripting hooks: “frameChanged” and “selectionchanged”. • Scripting: Keyframe Utilities Previously, there wasn’t an easy way to determine if a time was a key or to find surrounding keys. There are now new Key methods added to Property. • Scripting: Pan and Zoom Keyboard Shortcuts The Pan and Zoom keyboard shortcuts can now be reassigned. • Scripting: Support Multiple Paths in SFX_SCRIPT_PATH SFX_SCRIPT_PATH can now have a list of colon-separated paths (Mac+Linux) or semi-colon-separated (Windows). • Shape > Blur Type Preference A Shape > Blur Type preference was added to set the default blur type: Center, Inner, Outer. • Tweak Software > RV Integration When a path is entered in the RV > Command preference, a “Send to RV” option appears at the bottom right of the Render window. If that is enabled, after rendering, the rendered clip will be sent to the RV playback software–if installed. Next story Tenorshare UltData 8.5.4 – Your Reliable iOS 12 Data Recovery Software. Previous story Templates for MS Word 5.0.6 – Add style and class to your MS Word docs. SilhouetteFX Silhouette 7.0.6 – More Than Just Roto. Silhouette 6.1.14 – More Than Just Roto.